For the last two months, a group of volunteer photographers have been documenting conditions in the lower Russian River. 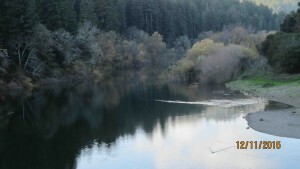 The photo project was triggered as a result of the State Water Board’s May ruling authorizing the Sonoma County Water Agency to greatly diminish river flows in order to address draught conditions in Lake Mendocino. Much to the chagrin of Sonoma County water contractors, half of whom provide water delivery services outside the Russian River watershed, the Sonoma County Water Agency (SCWA) is finally changing course. Water Supply Issues Very Active Now…..
Agency to update water supply plans…. The Sonoma County Water Agency (SCWA) supplies water for eight prime contractors in Sonoma County and Marin. SCWA’s Board of Directors is the Sonoma County Board of Supervisors, who also serve as Directors of about 17 County Agencies. This creates conflict in situations where adequate water supplies must be certified in order for new development to be approved.